Available with approved credit through Mercedes-Benz Financial Services through April 30, 2019. Advertised 36 months’ lease payment based on a total gross capitalized cost of $34,896. Includes Destination Charge and Premium 1 Package. Excludes tax, tag, title and doc fee. Cash due at signing is $3,797 and includes $2,653 capitalized cost reduction, $795 acquisition fee and first month's lease payment of $349. No security deposit required. At lease end, lessee pays $0.25/mile over 30,000 miles, and $595 vehicle turn-in fee. Fees may apply based on wear and tear and overall condition of vehicle. The new Mercedes-Benz CLA offers a lineup of coupes designed to elevate the driving experience for Gainesville drivers. The series offers 3 models – the 250 Coupe, 250 4MATIC® Coupe and the Mercedes-AMG® CLA 45 Coupe – each riveting in their own right. The Mercedes-Benz 250 Coupe and 250 4MATIC Coupe offer signature elegance, along with a smooth ride behind a lively, 208-horsepower 2.0L turbocharged engine. All the while, it maintains impressive standard fuel economy at an EPA-estimated 36 highway MPG. Those searching for excitement can opt for the exhilarating Mercedes-AMG CLA 45. Housing a handcrafted AMG 2.0L turbocharged 4-cylinder engine, the performance coupe produces 375 horsepower and clocks 0-60 MPH in 4.1 seconds. 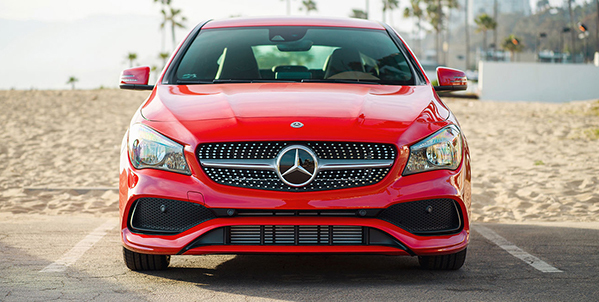 Experience the new Mercedes-Benz CLA models today. Schedule a test drive at Mercedes-Benz of Gainesville, serving the Villages, Orlando and Ocala, FL. Includes Destination Charge and Premium 1 Package. Excludes tax, tag, title and doc fee. Cash due at signing is $3,727 and includes $2,553 capitalized cost reduction, $795 acquisition fee and first month's lease payment of $379. No security deposit required. At lease end, lessee pays $0.25/mile over 30,000 miles, and $595 vehicle turn-in fee. Fees may apply based on wear and tear and overall condition of vehicle. The 2019 Mercedes-Benz GLA 250 has arrived at the premier luxury dealership in Gainesville – Mercedes-Benz of Gainesville. The 2019 GLA 250 has been called one of the most stylish luxury subcompact SUVs on the market today. The interior of the Mercedes-Benz GLA 250 is no less chic, with the ability to accommodate up to 5 adults in style and comfort. The 2019 GLA 250 offers premium leather upholstery that is durable, yet soft to the touch. Heated front seats are also optional, and they can really come in handy when it gets cold. 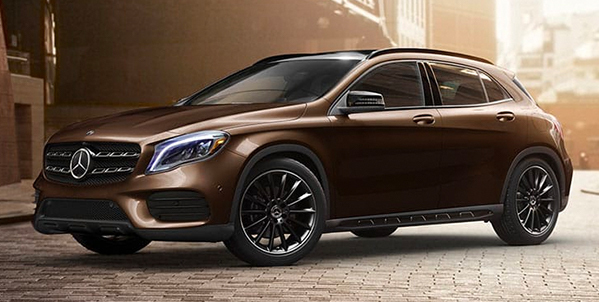 You’d expect a Mercedes-Benz SUV to have a powerful engine, and the 2019 GLA 250 certainly doesn’t disappoint. The 2.0L turbocharged 4-cylinder engine kicks out a sporty 208 horsepower and a muscular 258 lb.-ft. of torque. A 7-speed automatic transmission is standard. Safety is enhanced by features like Brake Assist, Traction Control and Electronic Stability Control. Drivers in Ocala, Orlando, The Villages or elsewhere in the Gainesville area can test-drive their new dream car at Mercedes-Benz of Gainesville today. Available with approved credit through Mercedes-Benz Financial Services through April 30, 2019. Advertised 36 months’ lease payment based on a total gross capitalized cost of $41,896. Includes Destination Charge and Premium 1 Package. Excludes tax, tag, title and doc fee. Cash due at signing is $4,223 and includes $2,999 capitalized cost reduction, $795 acquisition fee and first month's lease payment of $429. No security deposit required. At lease end, lessee pays $0.25/mile over 30,000 miles, and $595 vehicle turn-in fee. Fees may apply based on wear and tear and overall condition of vehicle. See luxury up close and personal with the new Mercedes-Benz C models. The C models are a blend of a sporty design with a spacious and comfortable interior. Drivers can choose between sedan and coupe body styles. Within the C, choose your brand of luxury with 3 available sedan models: C 300 Sedan, C 300 4MATIC Sedan and C 350e Plug-in Hybrid Sedan. The first 2 trims are powered by a 2.0L inline-4 turbo engine that generates 241 horsepower and 273 pound-feet of torque. With the C 300, you can leap from 0-60 MPH in just 5.8 seconds. The hybrid model combines that engine with an electric motor to deliver 275 horsepower and 443 pound-feet of torque. 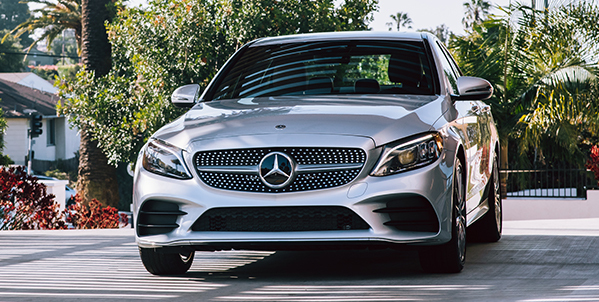 For performance-oriented drivers, look toward the AMG C 43, AMG C 63 and AMG C 63 S sedan models to conquer the road. Choose from numerous vivid paint options such as Iridium Silver Metallic and Dakota Brown Metallic. Drivers in Gainesville, FL can visit Mercedes-Benz of Gainesville to test-drive one today. Available with approved credit through Mercedes-Benz Financial Services through April 30, 2019. Advertised 36 months’ lease payment based on a total gross capitalized cost of $41,076. Includes Destination Charge and Premium 1 Package. Excludes tax, tag, title and doc fee. Cash due at signing is $4,273 and includes $2,999 capitalized cost reduction, $795 acquisition fee and first month's lease payment of $479. No security deposit required. At lease end, lessee pays $0.25/mile over 30,000 miles, and $595 vehicle turn-in fee. Fees may apply based on wear and tear and overall condition of vehicle. Get more of what you love in the new Mercedes-Benz GLC, whether you’re looking for an SUV or a coupe. The SUV body style of the GLC comes in 3 configurations: GLC 300 SUV, GLC 300 4MATIC® SUV and GLC 350e 4MATIC SUV, a hybrid model. Performance lovers can drive the Mercedes-AMG® GLC 43 or the AMG GLC 63 SUVs for increased road superiority, with the latter model having the capability to go 0-60 MPH in 3.8 seconds with its 503-horsepower biturbo V8 engine. The GLC also comes as a coupe in the GLC 300 4MATIC Coupe trim as well as the Mercedes-AMG GLC 43, Mercedes-AMG GLC 63 and Mercedes-AMG GLC 63 S models. If you drive near Gainesville, FL, this is the kind of performance you want on your side. Visit Mercedes-Benz of Gainesville to test-drive today. Available with approved credit through Mercedes-Benz Financial Services through April 30, 2019. Advertised 36 months’ lease payment based on a total gross capitalized cost of $35,346. 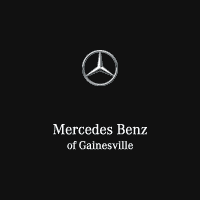 Mercedes-Benz of Gainesville April Incentives Includes Destination Charge and Premium 1 Package. Excludes tax, tag, title and doc fee. Cash due at signing is $3,727 and includes $2,553 capitalized cost reduction, $795 acquisition fee and first month's lease payment of $379. No security deposit required. At lease end, lessee pays $0.25/mile over 30,000 miles, and $595 vehicle turn-in fee. Fees may apply based on wear and tear and overall condition of vehicle. Gainesville-area drivers that are looking for a luxurious mid-size SUV need look no further. 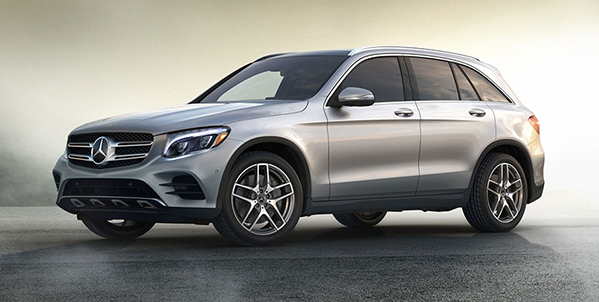 The new Mercedes-Benz GLE is here at Mercedes-Benz of Gainesville. The Mercedes-Benz GLE 350 SUV has the sort of elegant yet aggressive style that Mercedes-Benz has come to be known for. The luxurious and spacious interior can accommodate 5 passengers in style. The interior offers premium leather upholstery, and heated front seats are standard to keep you warm during those occasional Gainesville cold snaps. The standard engine is a 3.5L V6 producing 302 horsepower, and it is paired with a smooth-shifting 7-speed automatic transmission. A hybrid version is available, as is a massively powerful lineup of Mercedes-AMG® GLE SUVs and Coupes. Safety features like Traction Control, Brake Assist and Electronic Stability Control are standard for optimal occupant protection. 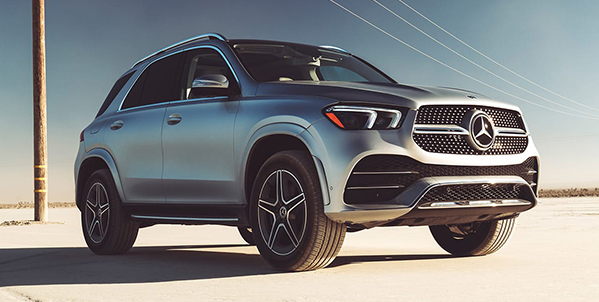 If you’re in Ocala, Orlando, The Villages or elsewhere in the Gainesville area, test-drive the new GLE 350 at the Mercedes-Benz of Gainesville – your preferred Gainesville car dealership today.